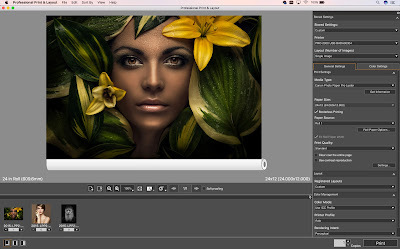 PPL can be accessed as a plug-in from such software programs as Canon Digital Photo Professional, Adobe®Photoshop®, Adobe® Lightroom or as a stand-alone program. The intuitive interface allows for quick and easy navigation of printer, layout, and color management settings to help improve productivity. The easy, drag-and-drop method allows users to input images directly into template layouts, providing photographers with more freedom to easily create and visualize final print jobs.